Read the instructions to apply sims 4 skills cheats. Below Sims 4 Skills Cheats are mentioned, now you can Max your Cooking Skills Cheat, Dancing Skills Cheat, Child Skills Cheat, and Toddler Skills Cheat. You can use these Skill Cheats to Increase your skill level. You can select from 0-9 to choose your own required level. Get & Download Sims 4 Skills Cheat below. 1 Get & Download Sims 4 Skills Cheat below. Let’s play the sims 4 and do some the sims 4 skill cheats by holding down CTRL+SHIFT+C which will bring up a little text window where we can type stuff like testing cheats true. This one enables you to click on stuff by holding down shift and then clicking on it and you get a whole bunch of cheat options. Like for instance, we can reset us in making him happy. You can change everything about him except for his name or her name depending on your character of course. We can make a decay and they will decay and disable decay. Basically enable is like the default. You can click on different objects such as a basin or a shower and make them clean if they are dirty. Remember all the Sims 4 Skill Cheats work on each gaming platform either you use a MAC, PC or a console. So don’t worry if you are even a Mac user, we got sims 4 cheats mac too. Sims 4 Skill Cheat PS4 and Sims 4 Skills Cheat PC are identical. Check Sims 4 UI Cheats! Check Sims 4 Pregnancy Cheats here. With the release of the Sims 4, there are tons of great features presented in the game. One of them is the ability to move a selected object freely in the game anywhere you want. To do this you have to first enable the testing cheat mode on. After that type “bb.moveobjects” and select an object. Now you can easily move this object anywhere you want. You can also shift this object into the next world. Below Sims 4 Max Skills Cheats are mentioned with which you can Max your Cooking Skills Cheat, Dancing Skills Cheat, Child Skills Cheat, and Toddler Skills Cheat. Note the space between stats.set_skill_level and major_skill x. X is the number from 0 to 10 or 0 to 5. 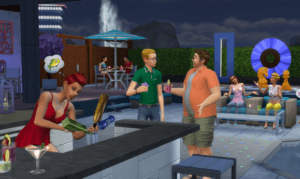 Use these Sims 4 Skill Cheats to Increase your skill level. You can select from 0-9 to choose your own required level. Use the Cheat Console by pressing CTRL+SHIFT+C. Input the cheat code “testingcheats true”. Master yourself in the world of foody people. Maximize your level up to 10 level enabling many rewards like The chef’s Hat, Tidy Tippers, Fast Easter and many more. In order to use Sims 4 Dancing Skills Cheats, You should have the sims 4 Get together expansion pack. These cheats include Clubs, Hangouts, Perks, and Leadership. A complete list of the Sims 4 Skills Cheat is listed below. In order to use these Skill Cheat Codes, Open up the Cheat Console box by pressing CTRL+SHIFT+C and enter “testingcheats true”. All the levels listed below are just for Comment Cheat Code. You can change the level from 1 to 10. The Sims 4 Skill Child Cheats allow you to maximize the Creativity level of your child ranging from 1 to 10. Each level contains different perks for you to try. It is better to level up your Sim in a numeric way(For example 1 to 2 then 2 to 3). With the Sims 4 Toddler Skill Cheats you can customize the bladder, Hunger, Energy, Fun, Attention, and Hygiene of a toddler. The Sims 4 Toddler cheats range from Level 1 to 5, which includes communication, Potty learning, and Imagination skill. 1. Make sure you’re in the Live mode, then press Shift-Ctrl-C all together to bring up the cheat console. Which would make a sim have level 10 in the programming skill. Also, remember to enable testingcheats on first. Download Sims 4 Skills Cheats from Below link.